This documentation will show you how to take any ViralSweep sweepstakes template and integrate it into your Magento site. 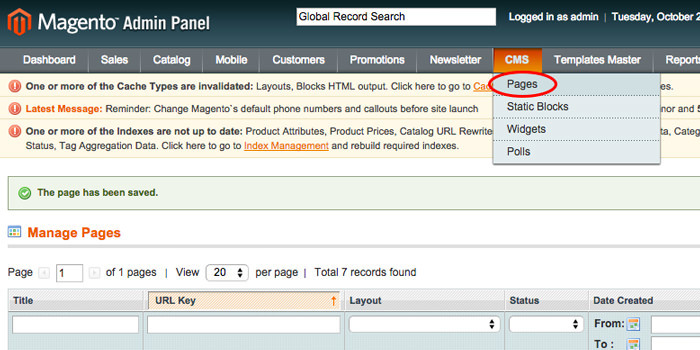 These steps will show you how to integrate the full page giveaway style into your Magento site. In order for the full page to properly function on Magento, you will need to add the code to a blank HTML file and upload it via FTP. This file will not contain your site template such as your navigation or footer. Skip to the section for integrating the widget if you want your site template to display around the sweepstakes. 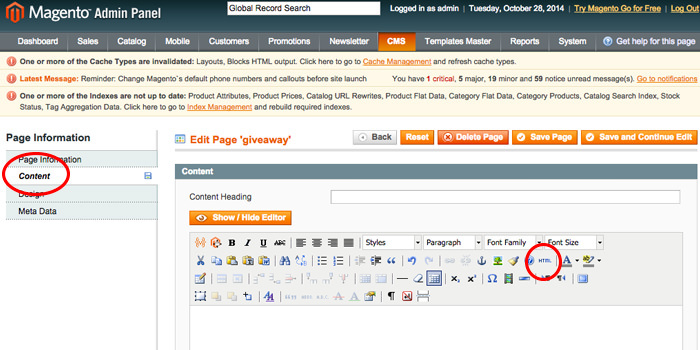 Navigate to your ViralSweep dashboard, click Install on your giveaway, and copy the code for the full page. Paste the code for the full page giveaway onto a blank HTML file. Save the file with any name you would like, using the .html extension. For this demo, we've named our file 'sweepstakes.html'. Now you will want to connect to your site via FTP. There are a variety of programs you can use to connect via FTP. For this example, we'll be using FileZilla. Once connected, you will want to navigate to where your Magento site files are located. 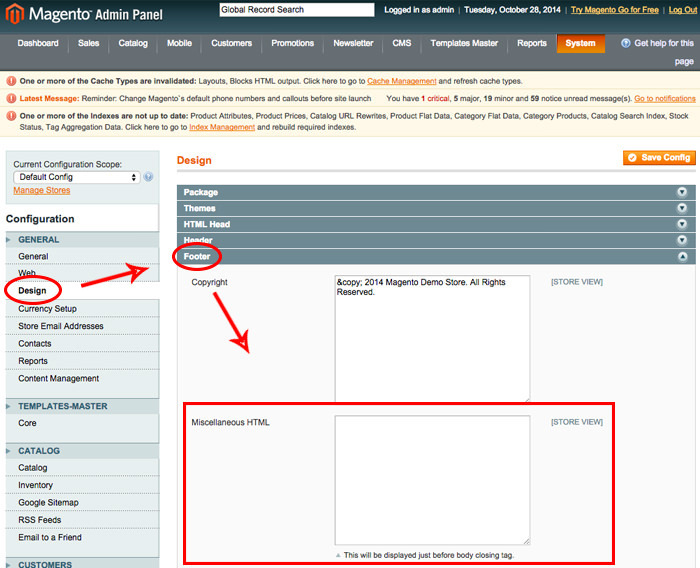 Create a new directory where your other Magento directory files are. For this example, we're going to name our directory 'sweepstakes'. Double click on the new directory you created, and then drop in the HTML file you created containing the ViralSweep code. That's it, you're done! To preview the sweepstakes, simply navigate to the URL of where it was uploaded. These steps will show you how to integrate the widget into your Magento site. 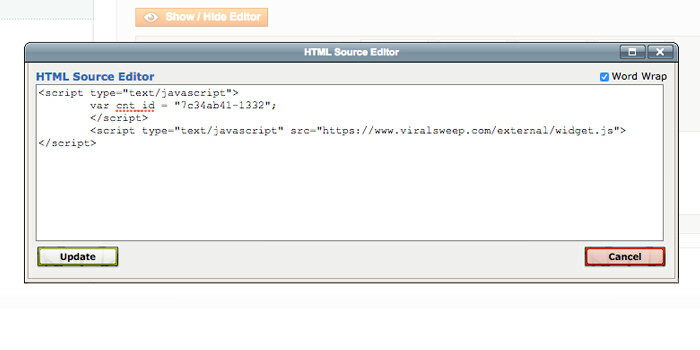 In ViralSweep, click the install button on your sweepstake and copy the code for the widget. If you already have a page set up that you want to add the widget to, click on that page. Otherwise, click the 'Add New Page' button in the top right corner. Click on the Content link on the left hand side under Page Information. When the editor loads, click the HTML button. When the HTML editor pops up, paste in your ViralSweep widget code and click update. Once you have pasted in the code, click 'save page' and you're done. Navigate to the page on your website and you will now see the widget. These steps will show you how to integrate the lightbox into your Magento site. In ViralSweep, click the install button and copy the code for the lightbox. There are two ways you can implement the lightbox. You can either add it to your homepage or a specific page, or you can it to every single page of your website. To add it to a specific page, just follow the directions above for integrating the widget. The same steps apply, you just need to find the page you want to add the lightbox to, click the HTML button on the editor, and paste in the code. To add the lightbox to all pages, navigate to System > Configuration. Once on the configuration page, click the Design link on the left hand side, then click Footer and look for the Miscellaneous HTML box. In the Miscellaneous HTML box, paste in the code for the lightbox. Then click Save Config in the top right corner. View any page of your site and you should now see the lightbox show up. Keep in mind that this method will add the lightbox to every page of your website. If you do not want it to show up on certain pages, use the single page method above. 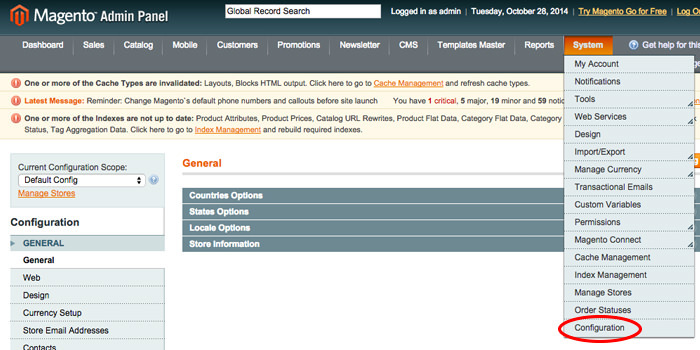 Still having trouble with adding your sweepstakes to Magento? Simply click the support or live chat icon to get in touch with us.